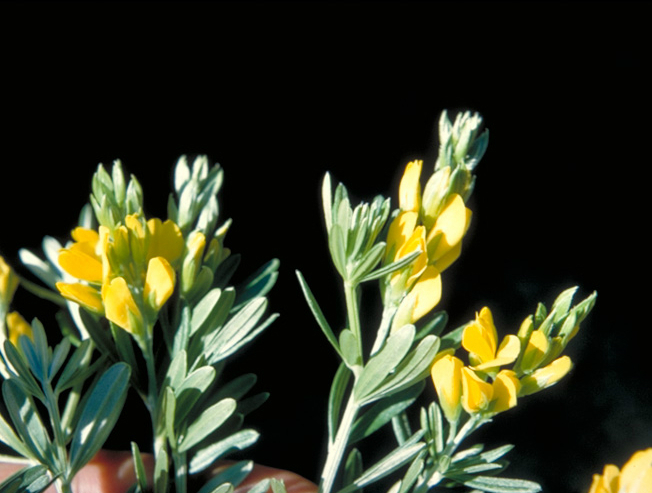 Genista linifolia (Mediterranean broom) is a shrub (family Fabaceae) with yellow flowers and thin narrow leaves found in the Channel Islands and north and south coast ranges of California. It is native to the Canary Islands, western Mediterranean and northern Africa. It favors woodlands, grasslands, and riparian and bottomland habitat. It reproduces via seed and is dispersed by animals, water, mud and machinery.